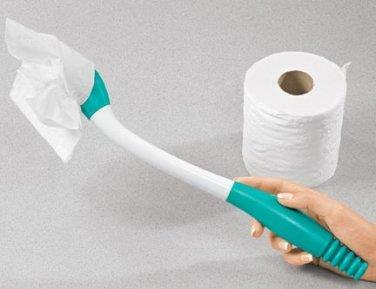 A practical tool for people unable to to reach a bend to use toilet paper. the other jaw. Once used the paper may be dropped by opening the jaws. * Please call us for any questions on our toilet paper holder serving Seattle and surrounding communities.